No images of E Smart Solar Pty Ltd Installations. E-Smart Solar is a solar installation company that is based in the Blue Mountains and services the greater Blue Mountains, Penrith and Hawkesbury areas. E-Smart Solar is community-focussed, committed to best-practice (across both solar and electrical), and proactive in the industry. Lead installer and business owner, Dean Edmonds, was recently a Finalist in the 2017 Clean Energy Council Solar Design and Installation Awards. I had nothing but a good experience with E-Smart Solar. I had an enphase microinverter system installed in Feb 2018. At first, I was rejected by a larger supplier/installer because of my steeper roof pitch of 35 degrees. Dean from esmart happily quoted on my job, and after the site visit he confirmed his firm would go ahead on the install. I was really impressed by the work of the team of 4 installers (which included 2 electricians). They were prepared to go the extra mile' and the quality of work was great. The work was completed efficiently, and after a firmware update my system monitoring was online. Phil had great knowledge and communication skills and was able to explain how it all worked, and how it was organised with regards to circuit breakers etc. They were one of the dearer quotes but had the best reviews online. They were not pushy in anyway like other companies that I got a quote from. It is a pet hate of mine when people try to push you into things so that was a major factor in picking them. They also had good communication. The system has not been installed as yet but they have done the ruff in. This is due to me not being ready for the system to be installed yet. We made a special trip to Europe to investigate the latest battery-backed grid-connect solar systems in 2014 and had very specific and unconventional requirements for our system. Dean, alone of the installers we contacted, was prepared to accommodate our requests. We are daily delighted with our system. We appreciate his humility, honesty and easy manner, whilst at the same time he and his employees deliver work of the highest standard. He is willing to embrace solar and storage technology as it evolves. This was an addition to an existing solar installation and Dean offered good advice as to how to upgrade and once the quote was accepted the update was carried out very quickly. I strongly recommend E-mart solar. The proprietor Dean was exemplary in his approach to sharing and explaining information. Taking the time to discuss the best options for the size system I was after. The team possess great customer service skills. Consistent and easy to communicate with in a timely manner. We chose Esmart solar after having a previous company quote & on the day of installation we found we were being misled on certain facts. Needless to say they were dismissed from the property & the thought of solar was put to the back burner. After calming down I contacted Esmart & met with Dean on-site who was able to answer all my questions [ believe me I had some]. The system we chose was a 10 x 320watt panel system with micro inverters due to some shade issues. The system was installed within 2 weeks & all done in one day including meter upgrade. 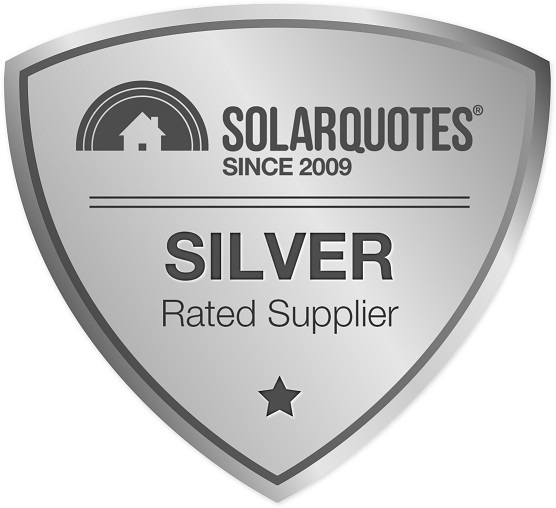 Dean & his young team were outstanding both in workmanship & courtesy while working at our home & I would recommend them to any-one considering solar. When it comes time for a battery back-up I won't go anywhere else. 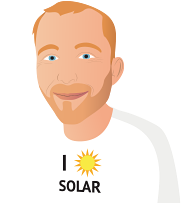 Dean from E-Smart Solar was the first to respond to my enquiry. We have a complex stand alone system with a big battery bank. E-Smart Solar effectively doubled our panel wattage and integrated the new installation seamlessly into our setup. Some installers I talked to were intimidated by our complex rig, but Dean knew exactly what was needed and supplied us with premium components at a very reasonable price, backed up by professional and prompt workmanship.